Some girls are at that age where they only have one thing on their minds: technology! Re-stickables stickers can be used to decorate electronics such as cellphones, laptops and tablets, or applied to notebooks or other hard, non-porous surfaces. These tech decals can be easily removed and placed on another similar surface without losing stickiness or leaving residue behind. 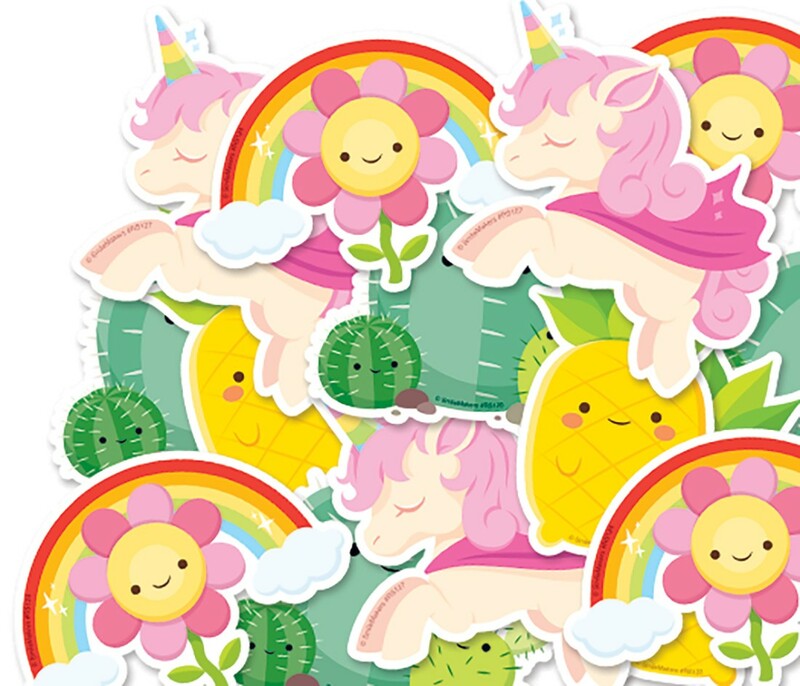 Assortment includes: Cute Cactus, Pineapple, Flower Rainbow, Unicorn.